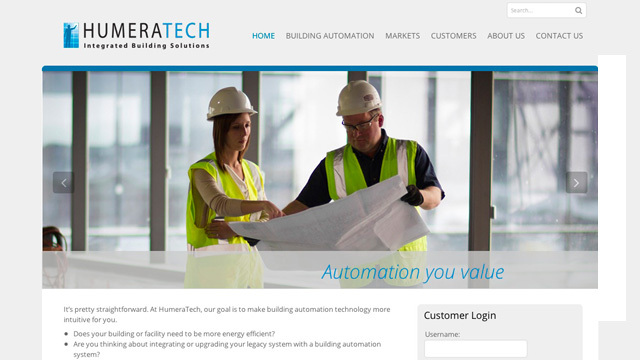 HumeraTech specializes in integrated building solutions and provides automation services for everything from HVAC to digital video security systems. They asked for an elegant website that covered their depth of services but was easy to navigate. DigitalMarvel performed HTML, CSS and PHP coding.